We are looking for well-rounded inspirational teachers with the ability to adapt and deliver all types of tuition to a high standard including whole class and ensembles, successfully recruit new pupils on an ongoing basis to build their portfolio and develop opportunities for progression.  Teaching students of all ages individually, in groups, in a whole class setting and leading ensembles.  Teach to a high standard and ensure that all lessons are enjoyable, well planned and productive.  Work inclusively with pupils of various abilities understanding the benefits of giving every child the opportunity to learn to play a musical instrument.  Enter and prepare pupils for examinations as and when appropriate.  Encourage and promote pupil involvement in ensembles and proactively recruit new students into ensembles as appropriate for their age/ability.  Encourage and persuade pupils to take part in local music centre activities as soon as they are able and to participate in other schools and Kent Music county ensembles as and when appropriate.  Assess pupil progress accurately providing well written reports and communication with parents when required.  Maintain accurate records at all times, communicating with Kent Music, colleagues and customer service advisors and liaising with Head Teachers, Music Coordinators and Heads of Music where appropriate.  Be flexible and willing to teach out of school hours and to coach and conduct local music centre ensembles.  Identify opportunities for recruitment and organise and take part in related activities (e.g. demos, concerts, parents evening) in order to support the development of music education opportunities for all.  Promote and ensure good behaviour among pupils and safeguard their health and welfare.  Be personable and enthusiastic, building good relationships with the schools, Kent Music, parents and students.  Represent Kent Music positively internally and externally at all times.  Recognise the benefit of continuous learning throughout a teaching career, participating in training and professional development opportunities and take initiative and responsibility for developing and improving personal teaching skills. Administration support with a team of Customer Service Advisors who organise teacher timetables and registers and liaise with parents and schools and collect fees from parents and chases non-payers. Teacher’s initial DBS fee which can be transferable across organisations and authorities. Teachers will be required to sign up to the DBS update service, fee £13 per year. Non-taxable travel expenses between venues and car parking fees, and taxable travel expenses from work to home and home to work in excess of 20 miles. Fees in lieu for teachers when an existing student withdraws from lessons without giving adequate notice (subject to condition). Potential for salaried contracted positions depending on the requirements of the role and needs of the organisation. Automatic enrolment to a contributory pension scheme, matched by Kent Music currently up to 3%, once earnings are over the taxable allowance. Access to tailored Continuous Professional Development (CPD) training. Regular teacher support through our quality assurance process. A variety of teaching including working with SEND and early years. Kent Music teachers are required to deliver 33 lessons throughout the year. The hourly pay for Peripatetic Music Teachers includes holiday pay. Potential for Salaried Contracted Positions. 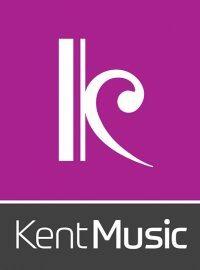 Kent Music values diversity and welcomes under represented people to apply. To address any barriers we will consider reasonable adjustment and access requirements before, during and throughout the interview process. Please do let us know on your application anything that we can do to help make your process as accessible as possible. Kent Music is committed to safeguarding and promoting the welfare of children and young people and expects all staff and volunteers to share this commitment. Successful applicants will be subject to an Enhanced Disclosure and Barring Service (DBS) check. Kent Music takes the responsibility of child protection very seriously and checks the suitability of staff and volunteers to work with children. Kent Music is an Equal Opportunities employer.